1. The claim has been made that there really hasn’t been much UFO information covered up. I have, as previously noted, several reasons for saying this isn’t true. Yes, we have 156 pages of NSA TOP SECRET UMBRA UFO Documents “released”(the NSA admitted they had them) way back in the 1980s because of the CAUS legal actions. 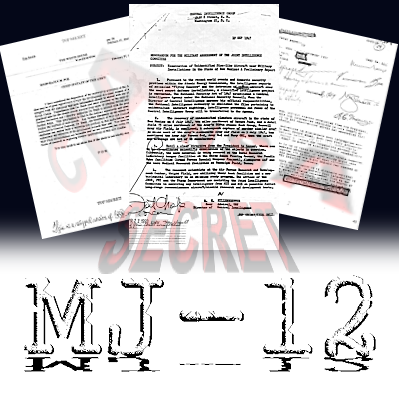 Dozens of TSU CIA documents were also released. Doesn’t sound like much. Unfortunately the NSA documents were entirely whited out except for one sentence per page because supposedly the rest was Sources and Methods info. The only reason for the “release” was President Clinton’s signing of Executive Order 12958. Implementation was of course delayed. The new EO is 13526.Originally the CIA released no documents above SECRET. It took me 2 years to get the TSU documents usually with only a few words legible per page. All of these are of course roughly 30 years old. Also the NSA HQ told its various offices that if they should receive a request from me, not to handle it in the fashion described in regulations. Instead of replying to me, send the request to HQ, thus avoiding releasing the fact that they had materials. Is there any reason to think there is more data? 2. Surely more was accumulated in the past 30 years. Perhaps more important we have the statement told to me first hand by USAF General Carroll Bolender (and obtained under FOIA by Robert Todd) that UFO reports which could effect National security were not part of the Blue Book System and that if BB was closed, reports which could effect national security would continue to be investigated using the procedures designed for that purpose. Namely JANAP 146 and Air Force Manual 55-11. Note these apply only to the Air Force. To the best of my knowledge none of these have been released. 3. Surely the Aerospace Defense command personnel (pilots, radar operators, spy satellite operators)have been made aware of loads of other sightings by personnel working under security. Furthermore we have all the sightings made by Navy (and army)personnel all over the world. The Navy office said they had no UFO information even after I sent them a joint ONI OSI report. 4. It has been claimed that governments aren’t very good at keeping secrets. Let us not forget that old and powerfully wrong notion that absence of evidence is evidence for absence. Good examples of very large scale government secret keeping include the Manhattan District effort to develop atomic bombs involving tens of thousands of personnel and huge classified facilities in Oak Ridge, TN, Hanford ,WA, Los Alamos, NM,etc and the use of 5% of the electrical power in the United States. Let us not forget the Stealth Aircraft Program under Lockheed.. $10 Billion. Let us not forget the more than 10,000 people involved in breaking the German and Japanese communications codes..kept quiet until 25 years after WW 2 ended. At one time Boeing Corp. had a contract with the NRO to improve the architecture of their spy satellites. It was cancelled after many billion dollars were spent. 6. We have been told that academic historians and experts on intelligence have exposed loads of classified information even though they do not have a need to know or appropriate clearance. No need for guys like me to dig into archival files. The Intelligence agencies would very much like for the public to believe that nonsense. Perhaps they could provide us with the NSA,NRO, and CIA UFO files (that we can read) ? Have they revealed much data from the $52.6 Billion spent on Military Intelligence in one recent year..most by CIA,NSA,NRO?